Lancaster police need your help to locate an armed and dangerous man wanted for murder. 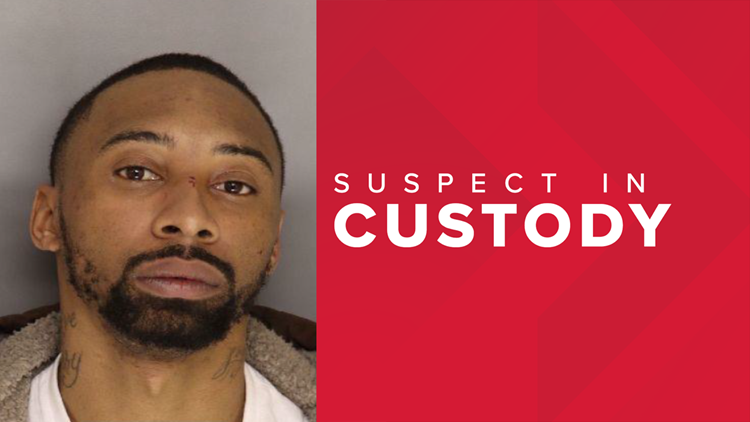 LANCASTER, S.C. — Lancaster police are asking for the public's help to locate an armed and dangerous man wanted on charges of murder. Police say Michael C. Chavis, Jr., of Lancaster, shot and killed someone at a party on Saturday. He should be considered armed and dangerous, they say. Chavis is described as a 29-year-old black male who stands around 6-feet tall and weighs around 165 pounds. His last known address is on Pardue Street in Lancaster, according to officials. Chavis is wanted on charges of murder and possession of a firearm during the commission of a violent crime after police say he gunned someone down at a party on Arch Street in Lancaster on Saturday. Police say Chavis opened a door from inside a home and immediately began firing on the victim, who was standing outside. The victim, who has not yet been identified, was later found dead behind the Arch Street home. If you see Chavis, have any information as to his whereabouts or about the shooting, police ask you to contact Lancaster police at (803) 283-3313 or on their anonymous tip line at (803) 289-6040.